It is important in life to learn and it is equally important to unlearn and relearn. That means we must be willing able to question everything and that is exactly what we did this weekend! IPKO Foundation in partnership with UNICEF Innovations Lab Kosovo and supported by OSCE Mission in Kosovo, organized the latest edition of WIKI PONDER: Critical Media Literacy Workshop where participant from all over Kosovo gathered in one place with a common aim of writing and providing, credible information regarding Kosovo. 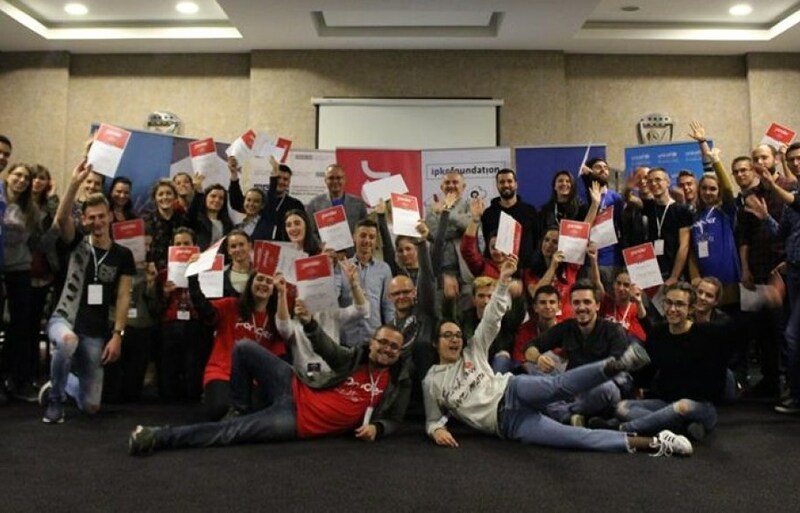 During the three day workshop we gathered critical thinkers from all over Kosovo to join their forces with our brilliant mentors and go through topics and ideas that provoked new ways of thinking. The first days were dedicated on learning how to use critical thinking for media literacy, the diversity of media usage, and how to empower people through media outlets. All of the participants got a chance to show their skills on the last day where they wrote Wikipedia articles about Kosovo and topics such as: Vaccination, bullying, multi ethnic relations and many other topics which lack the online presence. These articles, are very important in creating a true digital image for Kosovo since they did not only cover different topics but they were also written in two languages: Albanian and Serbian in effort to provide information to every ethnic group in Kosovo. Till the next edition, till the next discussions.